A rainwater tank is one of the eco-friendliest ways to store fresh water. However, rainwater tanks can become a breeding site for mosquitoes such as the Aesdes notoscriptus species. It is responsible for transmitting the Ross River and Barmah Forest viruses in Western Australia. To prevent mosquitoes from breeding in your tank, check its inside for mosquitoes and larvae every three months. If you notice larvae floating in the tank, check for a gap in the lid. If the lid is secure, check that the inlet and overflow pipes are covered with a removable insect screen. The Australian Public Health Regulation 2005 states that all rainwater tank openings must have a mesh that is no bigger than 1mm in size. Queensland regulations require screens to be made of brass, copper, aluminium or stainless steel gauze, while Northern Territory regulations require bronze or brass wire. Western Australia has similar mosquito management regulations, which are incorporated into Perth’s Environmental Health Department’s Mosquito Management Programme. One alternative is the use of ProLink XR Briquettes that contain 18 grams of S-Methoprene. This treatment does not contaminate stored rainwater and is odourless and tasteless. The briquettes do not kill mosquito larvae but prevent their growth. One briquette per 5,000 litres of water provides protection against mosquito breeding for six months. Another way is to add a teaspoon of medicinal or liquid paraffin, or domestic kerosene in your tank. The Australian Department of Health recommends that the dosage for kerosene is 5 millilitres (one teaspoon) for a 1 kilolitre tank or 15 millilitres (three teaspoons) for a 10 kilolitre tank. For paraffin, the dosage is double the amount of kerosene. Only a licensed pest management technician has the authority to treat rainwater tanks using these techniques. 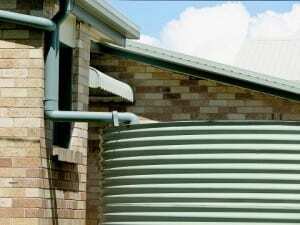 Rainfill Tanks provide a range of high-quality rainwater tanks in Perth, WA. Our tanks come in various shapes and sizes. If you want to inquire about our tanks, call (08) 9302 1159.